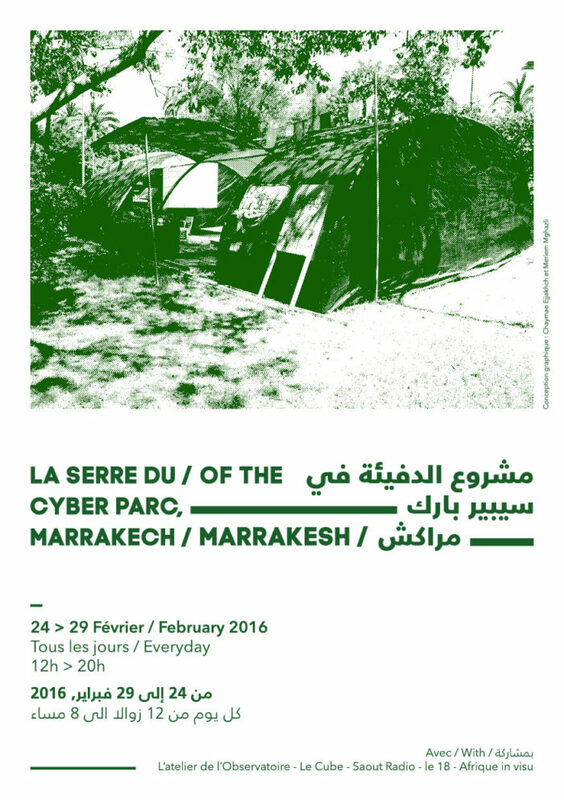 In partnership with Afrique in Visu, Saout Radio and L’Atelier de l’Observatoire, Le Cube moves to the Cyber Park Arsat Moulay Abdeslam in Marrakesh, in a temporary, open and participative greenhouse, part of a parallel and alternative program of the Marrakesh Biennale 2016. Free of any constraint of curatorial vision, this collaborative project welcomes the public, artists, students, researchers, cultural, scientific, cultural, operators and the audience from Marrakesh, in a combined effort to launch new research and ideas. In this way, video projections, listening sessions, presentations of projects, workshops and radio broadcasts are proposed. In an effort to invite everyone to question social issues, Le Cube also sets up a special evening raising issues related to the role of women in the public and cultural sphere. To meet this end Le Cube invites the artists Zainab Andalibe and Anna Raimondo to present their video productions, which examine these questions in plural, political and poetic ways. The Gender Karaoke by Anna Raimondo is also part of this project, inviting the people attending to become both the creators and the performers. The Gender Karaoke is an interactive project for which the artist has reversed the gender in popular songs, in order to highlight the discriminations often found in song lyrics. 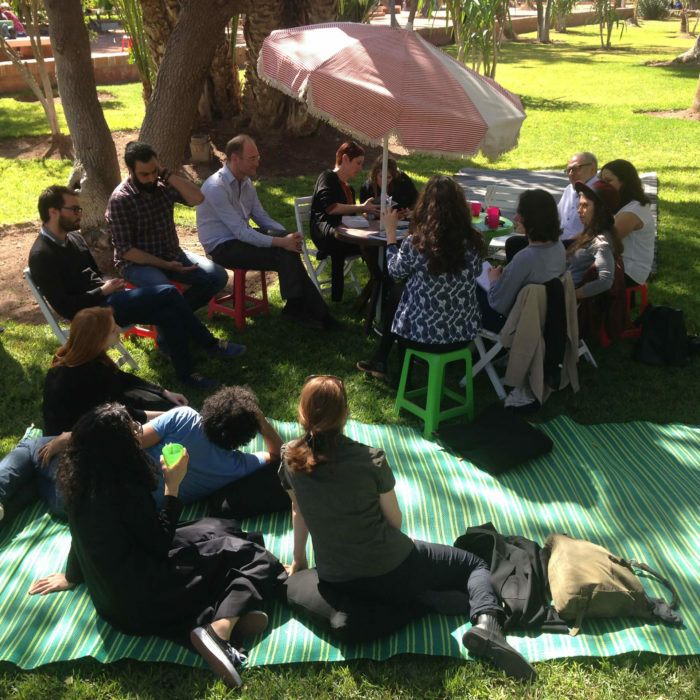 Le Cube also designes and organizes coffee with…, a series of meetings between the public and known actors in the contemporary art scene, both in Morocco and internationally. 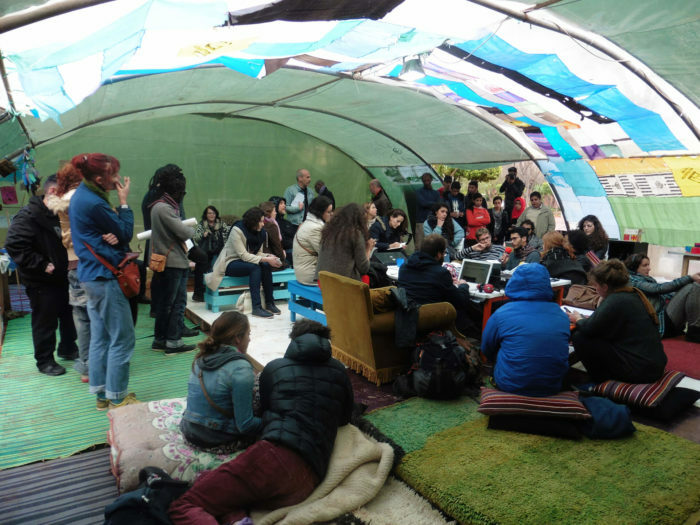 Thus, moments of rich and free exchanges take place, particularly with the team from New Talents Cologne Biennale, Maud Houssais, art historian and researcher, Gudrun Wallenböck, founder and director of the independent art space Hinterland in Vienna, and Gregor Weiss, general manager of the Anima art garden near Marrakesh.